Every month the Grand Knight recognizes the contribution of a Brother Knight worthy of Knight of the Month. Usually, the award is in recognition of a Brother Knight’s contribution for organizing a specific event or fundraiser or the culmination of one of the many annual programs which are central to our mission and encouraged by Supreme Council. 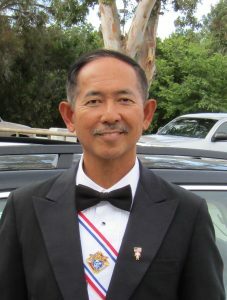 Sir Knight Danie Francisco, PGK received the Knight of the Month for May 2018. 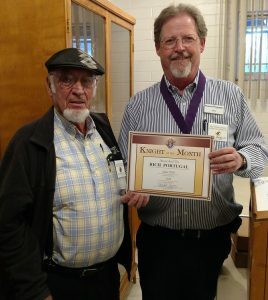 Rich Portugal was awarded Knight of the Month for June 2018. Rich is the round table coordinator for St. Columba Parish and has been an invaluable resource to Council 1349 for many years.